This challenge didn't quite work out as I hoped. It turns out that changing jobs mid-month is quite stressful and very busy socially - goodbye drinks at one organisation and hello drinks at the next. 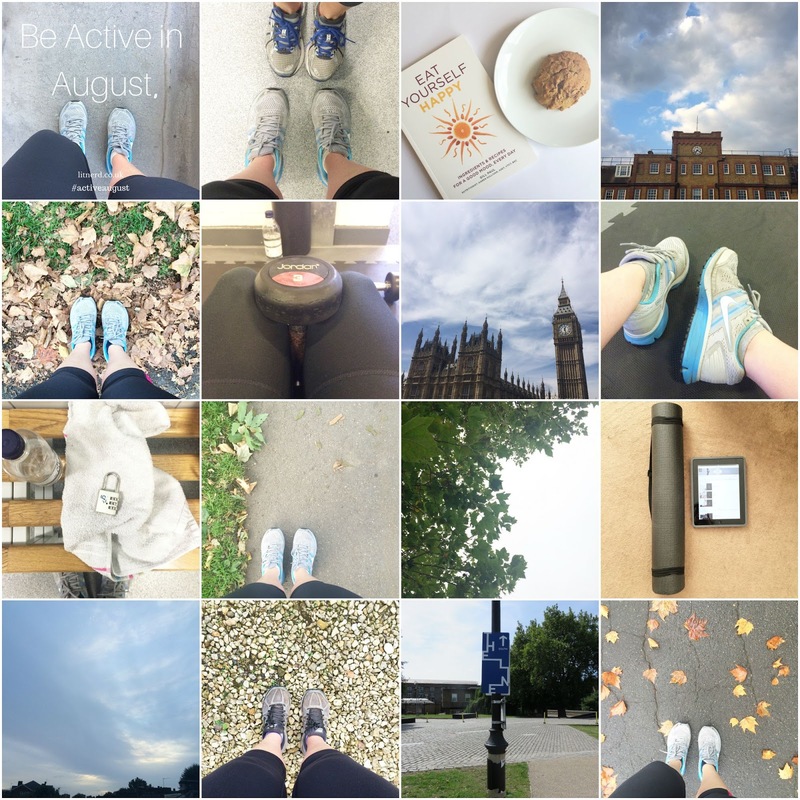 Suffice to say I didn't achieve the main goal of #activeaugust which was to be active every day. Having said that, I realised that I am active each day in one way or another. I move constantly. I always take the stairs, I'll frequently get off the tube a stop early or get on a stop late, I spend my lunchbreaks moving and my weekends always include a plethora of activities that have me walking the length and breadth of London (or so it feels). For that reason I will not call this a failed challenge, I'll call it a learning curve. I need to accept that I cannot do a full workout everyday. I need to accept that my body needs rest. I need to accept that a missed session does not equal a stone gained. I need to accept that being active makes me happy and that to force it will lessen its power. I am happy with the amount of exercise I have done this month, particularly given how busy it has been. I've changed things up at the gym and fit in more runs than I've managed in a long time. I feel stronger, I feel healthier, I feel happier. If that's not a successful challenge then I don't know what is. It's time to give myself a break and remember why I aim to be active in the first place - because I love it. Here's to being active for the right reasons.